WAVERLY (AP) — The Pike County sheriff has issued a safety alert after receiving several reports of gang members planning on “taking out” snitches and spreading heroin doses intended to cause overdoses. Sheriff Charles Reader says in the alert sent Monday that members of the international criminal gang MS-13 are planning on coming into Pike County this weekend. Reader says the gang plans to spread “hotshots” of laced heroin that could lead to “an extremely large amount” of overdoses in the county and surrounding areas. Reader says the information about the gang’s plans was gathered during recent drug-related investigations. CLEVELAND (AP) — Cleveland’s mayor plans to raise the minimum wage for city-paid employees to $15 an hour by next spring. Cleveland.com reports that could affect roughly 500 employees, such as police and fire cadets, custodial staff and lifeguards at city pools. Those include full-time and part-time employees, some union and some non-union workers. Mayor Frank Jackson says the raise would help counter the effects of tax burdens shifted onto the poor. Completing that change will take time because it must be negotiated into the city’s labor agreements with nearly three dozen unions. Jackson says the lowest-paid workers should be paid more. However, he opposed a recent proposal to raise the minimum wage citywide, saying he’s concerned about putting Cleveland at an economic disadvantage to other cities with lower minimum wages. 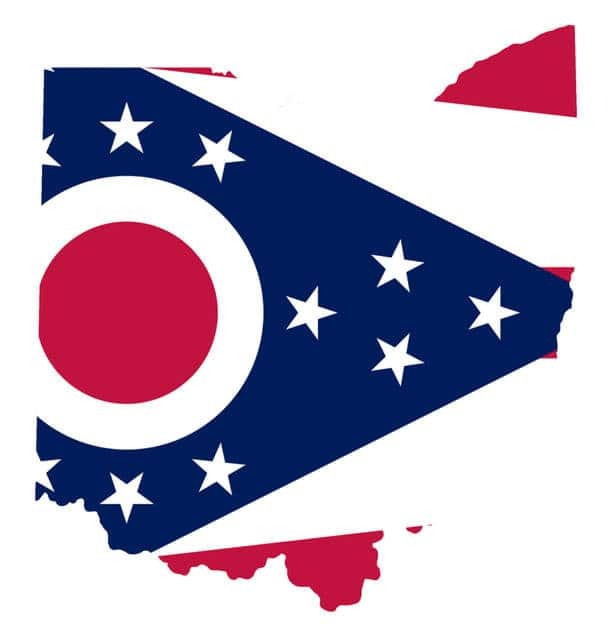 COLUMBUS (AP) — Two more Democrats in Ohio have launched campaigns for statewide office in 2018. Former University of Cincinnati board chairman Rob Richardson Jr. has filed to run for state treasurer and former U.S. Rep. Zack Space has filed to run for state auditor. Their decisions give Democrats at least one candidate for each of next year’s open statewide races. The five sitting Republicans are all term-limited. Richardson, a labor attorney, came in third in the Cincinnati mayor’s race in May. That marked his first bid for elective office. Space, of Dover, spent two terms representing the 18th Congressional District in southeast Ohio before being unseated by Republican Bob Gibbs in 2010. He now works as a lawyer at the Columbus law firm Vorys, Sater, Seymour and Pease. AVON LAKE (AP) — Officials say some of a chemical spilled at a Ford Motor Company plant in northern Ohio entered Lake Erie but isn’t considered a serious health hazard for humans. The Ohio Environmental Protection Agency says about 5,000 gallons of a rust-proofing solution spilled Saturday, and an unknown amount of that got into a storm sewer and discharged into the lake. Environmental cleanup crews were sent to contain and clean up the spill. Ford representatives said they were coordinating with local officials on the cleanup. Avon Lake Assistant Fire Chief Jeff Moore tells The Chronicle-Telegram in Elyria that the chemical is a skin irritant, but the spill wasn’t considered a health hazard because there is no public beach in that area and it wasn’t expected to affect the city’s water intake. CINCINNATI (AP) — An Ohio prosecutor says he’s delaying comment on the case of a white police officer whose trial following the shooting death of an unarmed black motorist ended last week with a hung jury for the second time. Hamilton County Prosecutor Joe Deters has not said whether he’ll try the case for a third time but plans to comment the week of July 10. A mistrial has been declared twice in the murder and voluntary manslaughter case of Ray Tensing, who was a University of Cincinnati police officer when he shot Sam DuBose following a 2015 traffic stop. Tensing attorney Stewart Mathews says he has been told by a reliable source that a majority of second-trial jurors voted to acquit on both charges. He declined Tuesday to comment further. TOLEDO (AP) — An Ohio man who falsely reported a planned shooting, prompting extra police security at several churches and synagogues, has been sentenced to spend four months in jail for the hoax. The Blade reports 22-year-old Mohomed Abdouni, of Toledo, told the court he was drunk and used poor judgment when he told the FBI in January that a relative planned to travel from Columbus to Toledo to shoot people at a church. He pleaded guilty in May to a felony charge of making false alarms. He was ordered Monday to pay $13,000 in restitution, mostly to the FBI. He also was given four years of probationary restrictions and was warned that he could face a year in prison if he violates those.